never doubt the power of a beauty tablecloth i say! not long ago, i upholstered my kiddos headboard with a funky table cloth i found. i had some left over fabric laying around and remembered a Pinterest crafting eve the Purple Eggplants had back in January where we created no sew pillows, with some felt and a glue gun. we were not blogging back then so didn’t capture any fancy photos of all of our creations, but here is one of them. 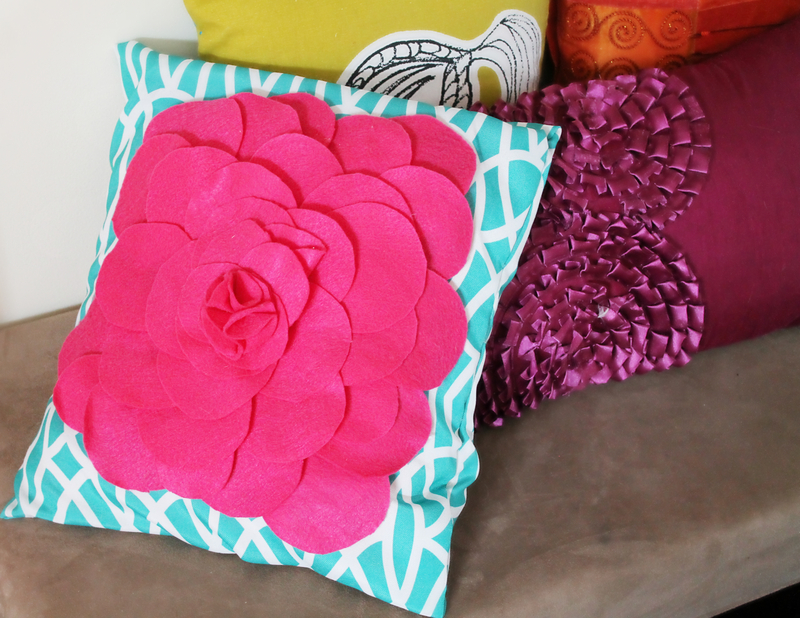 Andie found this super inspiring tutorial from the Crafting Chicks and created a gorgeous purple felt flower pillow that had no sewing that Mel and i were oggling over. with Andie’s guidance on our “Pinterest-ing Eve” we all left happy with our new fancy and simple pillow creations ! with the leftover headboard tablecloth fabric, i duplicated the yellow felt flower pillow. super simple. i was a bit worried about hot gluing the fabric, but so long as you fold in the open edges and place a line of hot glue between them, it works just as well as the felt did ! a headboard and pillow with a $14.99 table cloth. i say that’s one sweet deal ! i am also digging the felt on fabric look too. so much that i found a funky body pillow pillowcase that i think will make some pretty cool looking pillow covers once i am through with it ! 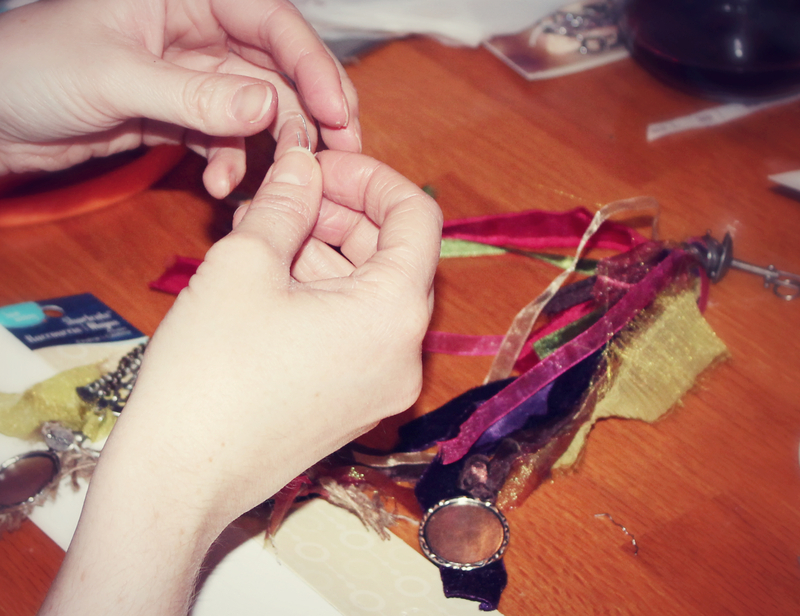 the 3 of us got together to blog chat the other eve and had to of course integrate some crafting ! here is a sneak peak ~ stay tuned for some of our jewlery creations !